support that I've found here." 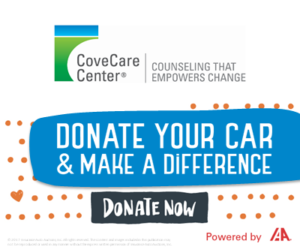 CoveCare Center provides individualized and caring assistance to people of all ages. Persons enrolled in Individual, Family, and Group Mental Health Services work together with our staff to identify needs, build on strengths, and develop skills to grow, heal and recover. Individual sessions. Meet your therapist one-on-one in a quiet, private office. Groups. Choose from an array of weekly groups that address the specific needs and concerns of adults, teens, and children. Family and Play Therapy. Work with therapists who provide treatment for the whole family and play therapy sessions for children. Psychiatry. If you need medication, our on-site psychiatrists will prescribe and manage your medications in partnership with you and your therapist. Peer Support. Trained Peer Specialists, who have found success in their own recovery, can guide and support you in finding social, financial, and other supports in the community. NOTE: CoveCare Center’s Mental Health Groups are only available to clients enrolled in the Mental Health Clinic.